Komparify PayPal Cashback Offer:- PayPal Cashback Offer is working fine now with Komparify. Komparify is now accepting the PayPal as new payment gateway if you're going to recharge your mobile, pay bills on Komparify App & site as well. Since the PayPal has been trying to allure more Indian Consumers that's why they are doing a partnership with various platforms with their 50% Cashback Offer. Apart from the Komparify, PayPal was also providing their payment gateway with 50% Cashback offer to Zingoy users. Where most of the users were getting up to 200 Rs. cashback on their First Purchase. Now if you are also want to get 200 Rs. Cashback that is also redeemable fully then you can use "Komparify PayPal Cashback Offer". You have to use Komparify and PayPal to Recharge your Mobile, Bill payments or you can even buy Gift Vouchers. If you are one of them who are only interesting in 200 Rs. Cashback and then redeem it to directly into either your PayTM Bank or any other Bank Account then you can use this Komparify PayPal Trick. That name can be given to this offer as well. Most of the users are aware of this fact that they can use this cashback offer and can earn sound money using this Komparify PayPal Cashback Offer. Better to remember that you have to first invest some rupees around 400 to purchase the gift card or you are really want to recharge your Mobile. After that, you'll be able to get that 200 Rupees Cashback in your newly created PayPal account. Despite this thing you need to take care of one of the important things, that transaction should be your first transaction on PayPal account. First of all, go to the Komparify Offer Page. Login or Sign Up for the New Account. Now Recharge Your Mobile, Pay Bills or Buy E-Commerce Vouchers. Make sure that you Initiate the Recharge of Buy Vouchers above 400+ to get the maximum benefit. Now check all your details carefully while entering your Recharge details or buying vouchers. Now Select the Payment mode as PayPal only. As you'll get 50% cashback on Komparify if you are going to pay with PayPal. Now Sign in or Create a new PayPal account and Add Card to pay your Amount. After paying the amount you'll get successful recharge if you're recharging your mobile or you'll get Vouchers on your E-mail if you're buying Vouchers. You'll get 200 Rupees cashback in your PayPal account. You can check that when you're going to recharge of pay for any other services using paypal. Komparify PayPal Cashback Offer:- To add a card in your PayPal account you need to have a virtual card. So that you can do the payments using this card. We are going to tell you how you can use various cards in your PayPal account to use this 200 Rupees Komparify PayPal Cashback offer. Here We are going to tell you about how you can use Pockets App's, Virtual Card. First of all Download the Pockets App Download. 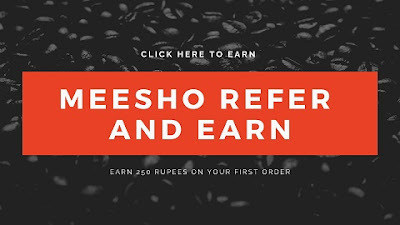 Use the Referral Code - POC0015868 to get instant 10 Rs Bonus. While Registering on You need to Enter the PAN Card Details on Pockets App. Use the Random Number as NRJPP5748F (NRJPPXXXX) to proceed further. After this Copy the Card Details From Pockets App. Now Link this Card in your PayPal Accounts. Later use any offer like Zingoy Loot or Niki recharge offer or BookMyShow Offer to get cashback up to 200 Rs. Few Virtual Card Providing Apps are TMW, Pockets App, DBS, Slonkit, PayZapp, PayIBL, Kotak etc. This offer is available on the First-Come-First-Serve basis to first 125,000 eligible customers. In case of cancellations/ refunds in redemption cases, 100% cashback will be refunded if the offer period is still valid. For partial cancellations, a refund will be processed as per PayPal policies. 4. Gmail Accounts For PayPal. Brief Explanation:- First of all create a new PayPal account and add the Virtual Card from the Pockets app. Now go to the Komparify Account and add the Vouchers worth 400 Rs. Now Choose the Payment mode as PayPal. After this Enter your PayPal email and proceed further to pay the amount. On the Payment page, you'll see your added Virtual Debit Card. Make sure that you have already added sufficient balance into your Card. After this pay, the amount and you are done. You'll get your Voucher and 200 Rs. Cashback Voucher in the PayPal Offers Section. Later this 200 Rs Cashback Voucher of PayPal can be used to purchase the Voucher again from the Komparify Account free of cost. That's the trick to get the 200 Rs. Voucher. Repeat the Same Steps to get the Profit from PayPal Cashback Offer of Komparify. Add the Same Virtual Card in New PayPal Account. But Remember that you have to first remove this Virtual Card from the First PayPal Account. Repeat the same steps to buy the Vouchers or Recharge. Later You Can buy PayTM Vouchers and Convert it into cash. That's how you can get 200 Rs profit on every purchase. So this was the post about how you can use Komparify PayPal Cashback Offer. Recharge your Mobile on Komparify and use the PayPal as Payment option to avail the instant 50% Cashback up to 200 Rupees. Later you can use this 200 Rupees voucher of PayPal for your next purchase free of cost.